A new study supports the theory that the human autonomic nervous system registers space weather events "as they happen" and in their aftermath. Added to this, my own anecdotal experience of acute nerve pain during two weeks of intense space weather helps shed new light on this fascinating phenomenon. Exploring the ceaseless dialogue that we ALL have with the universe...and the opportunities this presents once we get beyond the fear-factor. A few days of extreme fibro-fog sent me off on a path of research that opened up even more doors of profound understanding than ever; showing me how the feedback loop that we are (within our own bodies and far beyond) exists in the ecstasy of harmonic flow...except when its 'glued' together by - well - to get into all that I suggest you read on as there's no pocket version of what I found out. 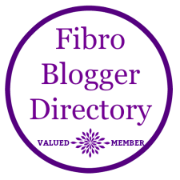 Another one of my more substantial posts but with a lot of playful exploration and optimism inside for anyone who experiences fibro-fog or so-called chronic illness.